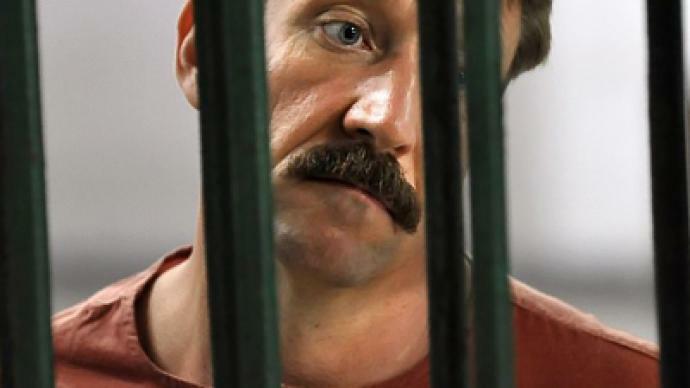 Viktor Bout has landed in the US in the late evening on Tuesday, according to US Law-Enforcment forces, as quoted by AP. The alleged Russian arms trafficker Viktor Bout has left Thailand after being handed over to US authorities. After months of intense political pressure from both Washington and Moscow, the Thai government agreed with an earlier Appeals Court decision to extradite Bout to the United States early on Tuesday. Escorted by 50 special agents, including snipers, Viktor Bout was taken to the airport and, at 1:30pm Bangkok time, was in US government plane en route to the United States. The operation was carried out very quickly to avoid any possible interventions. Russian diplomats in Bangkok were not informed that the extradition had been cleared. The decision was not expected until Friday. Lawyers say that it ignores the previous rulings of the Thai court and is illegal. Moscow has officially dubbed Bout’s extradition as a “striking injustice”. “Despite two rulings in Thailand’s criminal court, saying Victor Bout’s guilt was not proven, the Thai government has still decided to hand him over to the US. I consider this unprecedented political pressure on a legal process and on Thailand’s government,” said Russian Foreign Minister Sergey Lavrov. “This is an example of striking injustice. We as a state will continue to give all necessary support to Victor Bout as a Russian citizen,” he added. Viktor Bout, a former army officer, was arrested in Bangkok in March 2008, in a sting operation allegedly organized by American law-enforcement agencies, after years on Interpol’s wanted list. The US accuses Bout of terrorism and supplying arms to Colombian rebels. The Russian businessman has denied any wrongdoing. He says the charges against him are politically motivated, and he has only engaged in perfectly legal aircraft sales. However lawyers and experts, including intelligence and police experts, claim that the real reason why the US wants to have Bout in custody is his allegedly extensive knowledge of Russian military and intelligence operations. Evgeny Belenky, the Bangkok Bureau chief for Ria News Agency, says there's one organization in the US that's very interested in having Viktor Bout on American soil. ­The whole idea of Victor Bout as a “merchant of death” is no more than a Hollywood phenomenon, believes journalist and author Daniel Estulin. “He was in Africa. He knows the African leaders. He was not involved in gun running. He was involved, to a very small extent, in shipping arms; but again, shipping arms is not illegal, it is a very legal business,” Estulin added. Bout’s wife, Alla Bout, claims the operation was illegal and says she is going to file an appeal. “The operation was secret. At 8am, the cabinet ordered the extradition of Victor Bout, even though the prime minister of Thailand had said that while court proceedings are ongoing, Bout wouldn’t be extradited. This operation was illegal; it was done after lobbying from the US. Bout was shipped to the United States as if he was just a thing, without his documents and without the Russian embassy being informed. The operation was so quick because it is illegal under Thai law. I plan to appeal,” she told RT by phone. In August 2010, Thailand’s Court of Appeal ruled that Bout should be extradited to the US, overturning a lower court's ruling that was handed down in August 2009. But the extradition was suspended after the US side issued new charges against Bout, and then tried to withdraw them. Meanwhile, Bout and his family have repeatedly appealed to the Russian authorities for help, claiming his life would be in danger if he were to be extradited to the United States. Bout’s extradition has been a foregone conclusion for all those who have been following closely his case over the recent months, noted Vadim Kozyulin from the Russian Centre for Policy Studies. “Not only has the Thai government been under the strong pressure from the US, but the prosecutor of the Thai court has close connection with the US by different channels,” states Kozyulin. 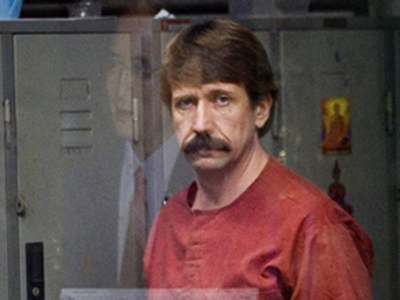 Viktor Bout has never been prosecuted in Russia, because he has conducted no activities in Russia, has had no companies in Russia and never purchased or sold weapons belonging to Russia. This fact, together with Russia lacking extra-territorial provision, made it possible that Viktor Bout would never have been investigated in his homeland, he posited. But as Viktor Bout is a Russian citizen, he will be provided with legal assistance from the Russian embassy in the US, assured Kozyulin. Investigative Journalist Wayne Madsen has covered the Bout story for some time, and said the Bout incident will likely freeze the US-Russian relationship. Moscow remained uninformed that Thai authorities were extraditing him; in fact they were planning to meet with him later this week. Russia has called the move on the part of the US politically motivated. “Some people in Washington would like to kill the whole reset idea between US and Russian relations, especially with the ratification if the START agreement. The Neocons are chomping at the bit to not go forward and try to go back to the status quo ante on US-Russian relations,” said Madsen. Those in the US who oppose improved US-Russian relations have gained power recently in the US, increasingly through the recent midterm elections which gave the Republican Party control of the US Congress and added more Republicans to the US Senate. Madsen argued that Garcia’s case against Bout may have been an attempt to eliminate the competition. Bout was transferring arms to US clients, the UN and others, under approval from the UN Security Council, Madsen said.